This entry was posted in Bible, Historical context, Literary context, Religion and tagged 2 Kings 2:23, Babylonian exile, difficult passages, Elisha, Mastering the Pastoring, Robert Quiring, she-bears. If I was a boy and some old guy told me this story, I probably would think twice before I called him baldy again. Probably. Maybe this is one of those stories meant to scare you straight – and it found its way into the Bible. Bedtime story, for sure. Can’t wait till my grandsons are old enough I can tell it to them. 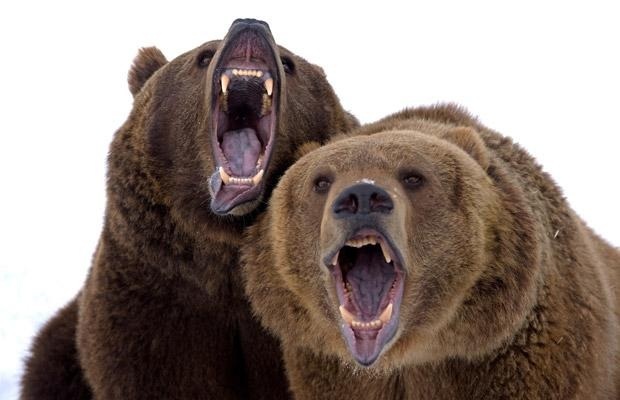 “Obviously, if two bears are going to maul forty-two boys, the boys did not run away when the bears went after the first two; they waited their turn” — I would be interested in a word study on “bears” but regardless, with so many supernatural events surrounding Elisha, it would be exhausting to dismiss them all. It is expected that “signs and wonders” would follow such a great prophet. Obviously, I fall on the side of the literalist. “Perhaps our contemporary culture’s assumption of historical accuracy in the Bible would make no sense at all to the original readers of this story.”— I would argue the opposite is a more accurate statement. Our contemporary culture’s assumption is not that the Bible is historically accurate. Ask any recent “mainline” seminarian graduate. Welcome to the conversation, Richard. I want to clarify that my position is not that the Bible intends to tell an historical account but I don’t believe it–my position is that the Bible employs a variety of literary genres as instruments of proclamation. The biblical writers did not restrict themselves to historical accounts. When we encounter a story like this that has all the marks of a folk tale–humor, wild animals, and a moral for children (don’t mock a prophet), then insisting on its historicity would diminish the scope of its meaning. Insisting on historicity increases the distance between us and the biblical world, making it easier to look at the Bible as a relic of a time when God acted differently than now. There are places where the biblical writers clearly make historical claims for extraordinary events; for example, Paul and the apostles recount their experience of encountering Jesus in bodily form after his death and burial. While they each shape the story in different ways, their theological proclamation rests on the historical event. That is not the case in the story of the she-bears. Recognizing that biblical writers use different genres from one passage to another does not, for me, diminish in the least the inspiration, importance or Truth of the theological claims. I agree! It would be foolish to consider the whole of the bible to be written as if to be interpreted literally. You were concise and your position was very clear the first time.